No wonder the special day of Anniversary is rejoiced a lot by every couple. They share love, care, memories and romantic or thoughts gifts with each other. It’s the amazing way of expressing love and care for each other on the day of celebrating their togetherness. To help a couple send the most thoughtful and heart touching message or anniversary quote, here this blog will definitely help a lot. The moment a couple confess their hearty feeling to each other is the most special one. Another special moment for a couple is their anniversary. This is the day of celebrating their year of marriage and togetherness. Couple spends time together, share memories together and makes each other feel loved with exchange of anniversary gifts. But, the least important is given to exchange of heart wining anniversary message or quote. 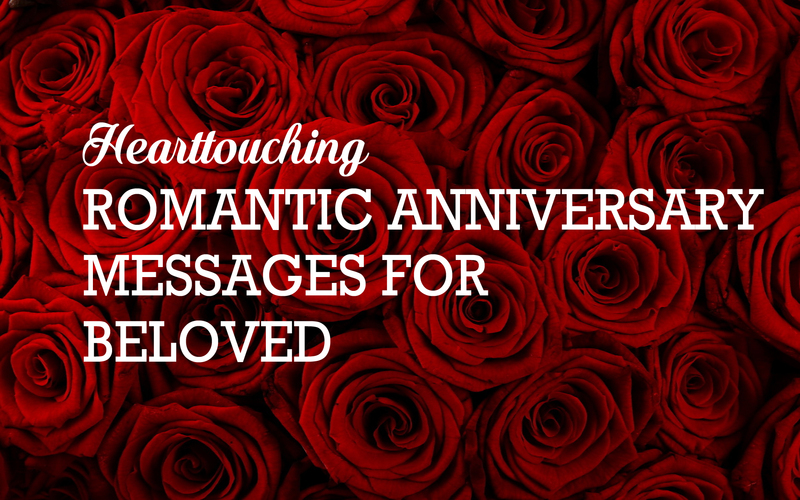 Thus, here we have come up with thoughtful and romantic 25+ Anniversary messages and quotes to share with beloved and express hearty feelings romantically. Our anniversary is not just a celebration of our wedding day. My heart was forever stolen on the day we got married but the only thing different in this robbery is that I knew the robber. I knew he would take good care of it… forever and ever. I’m so happy to be your wife. Biology says that a man’s behavior changes as he ages. As you were when we started dating. I bring madness, while you balance it with stability. I bring cuteness, and you coat it with elegance. I bring smiles, which you convert to endless happiness. What more can a woman ask for with a man like you by her side. You love has been timeless and endless. You have loved me in my good moods and loved me even more in my worst side. Thank you for being the best of the best husbands. Happy Anniversary dear! because I always feel in love with you. There’s always plenty of love left to make things okay again. I’m so happy that you’re my wife because you just understand me. It doesn’t matter whether it is our first, fifth, tenth or fifteenth marriage anniversary. What matters is that I will always love you and you will always love me. Some dedicate gifts to their wives on a wedding anniversary. My wife, you are so loving, beautiful, romantic, tender, kind and caring. Words are not enough to express how much you mean to me. Thanks for being there for me and for another lovely year of marriage. To the beautiful woman who has given me the most beautiful life, a very happy anniversary! I want to thank you for everything you do for me and the kids. But you make it look so easy. You look so beautiful doing it, too. How did I get so lucky? I love you, honey. With you, I’m the happiest man on this earth. Thank you for the previous years, let’s do it again. In times of either troubles or happiness. I know you are always with me and stands by my side. You are everything that i could ever ask for. Here’s to another year of our lives together. The day that celebrates the years of marriage is very special and romantic. Apart from making each other happy with anniversary flowers and gifts, spend some time to express it in words and honor each other’s inevitable presence in life with a heart touching anniversary message or quote. And to help with gifting, GiftaLove.com has extensive range of anniversary gifts, flowers and anniversary cakes to shop online with never before ease.